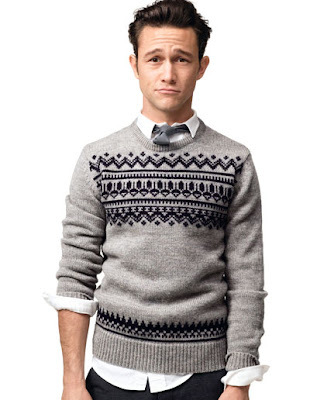 This week's Man Candy Monday pick is Joseph Gordon-Levitt! Let's face it, he's been cute since Angels in the Outfield and 3rd Rock From the Sun and he's continued to get more attractive with age. I think 500 Days of Summer is when people started taking note, although I think that he wasn't noticed as much as he should have been in 10 Things I Hate About You. Either way, I think we can all (most of us?) agree that he's worthy of Man Candy Status. -Resides in both NY and LA. -Attended Columbia University (but didn't graduate). -His grandfather, Michael Gordon, was a director who was blacklisted during the Red Scare. -Created hitRECord, an online collaborative production company where people are encouraged to create and upload works of art (such as music, illustrations, film, etc.). He's taken some the films created on this site to Sundance Film Festival and South by Southwest. I'd love for you to play along! Pick your man of the week, write a post, grab my badge (above), and link up! 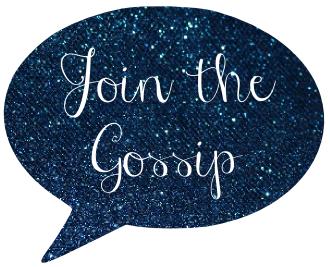 Feel free to embed the link up code if you'd like. Great choice! That first pic in the sweater is too cute. I loved him in 3rd Rock, but I think his first great solo role was in Brick, it was such a great modern take on the classic noir mystery. Great one Leeann! :) Kinda love the pic with the cigarette. ;) haha! PERFECT choice, lady! I adore him. I love him! So so cute! Oh yes, he is very worthy!!! I love him. He's very handsome and stylish and such a good actor. Great choice! I totally forgot that he was in 10 Things I Hate About You! I LOVED THAT MOVIE!!!!! Love him and I love what he's doing with his hitRECord site! 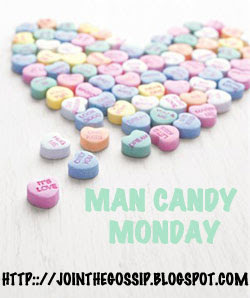 stop by for a giveaway! I have liked him for years as an actor. But I did not really notice how cute he is until Inception. Love him! He's got a charm for sure! A great actor, and that smile! I'm a fan! Good pick! I posted my 4th of July guy, lol! This is my first time with this hop and I LOVE it!! I love your pick and I cannot wait to join you every week.. I am your newest follower!!! He was in Beethoven?? I had no ide. I love him so much, he's such a reat actor and way too handsome. I adored him in (500) Days of Summer. Great film, and he played it beautifully. this is by far my fave man candy monday post as i totally love JGL! i wrote a post about him not too long ago. and Inception has been on all weekend so i've been watching it pretty much nonstop, lol. He's grown up to be quite the handsome young man. Oh..one of my favorites. I loved him in so many films. He can all sorts of guys. I like this kind Monday. He's on my list! Thanks for the facts too. With you on this one 100%. HOT!!! OMG! Megan is so right! I was thinking he looked familiar and couldn't place him . . . but it's totally that he looks like JP from the Bachelorette (who is also a fox). He's such a great guy and actor. Cutie! So funny that I think of him still as the little kid in angels in the outfield yet I'm only one year older. He has that cute baby face! this is a hilarious feature....and i love it! hummina hummina hummina...he is a stud! and i would do all KINDS of nasty stuff to him. wait what? who said that?! 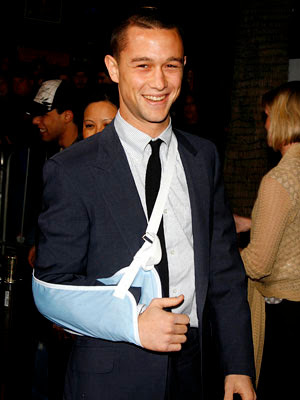 no really he's adorable but i will be honest...i didn't "notice" him until 500 days of summer and inception. ESPECIALLY inception. dude is HOT! I loved him in 10 Things!! It was filmed in my old neighborhood in WA state and makes me cry whenever I see it. So good! I so agree with this one! He is so fantastic. This is a great selection and very worthy of MCM status! I've liked JGL since 10 Things I Hate About You and liked him even more when I finally saw (500) Days of Summer. He's in some independent movie that was released this summer called Hesher. I really want to find a theater that's playing it or at least get it on DVD when it comes out. Because of you, I stayed home after my trip to Vegas and watched Stop-Loss, G.I. Joe and 500 Days of Summer to get my JGL fix. Great choice. It's so hard to believe that he is Tommy from 3rd Rock from the Sun with that gross long hair. But he was a cutie in 10 Things I Hate About You. He seems like a genuinely smart, nice guy.